A new technological break-through in primary battery that lasts 3 times longer than alkaline batteries. 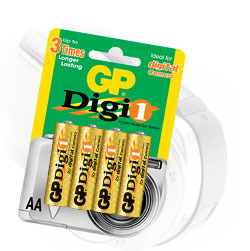 This is perfect for Digital Cameras and ideal for other high-drain digital devices. Digital cameras; Toys and Games; High-drain portable digital devices.